Get out and see this gorgeous home full of natural light and mountain views before it's gone! 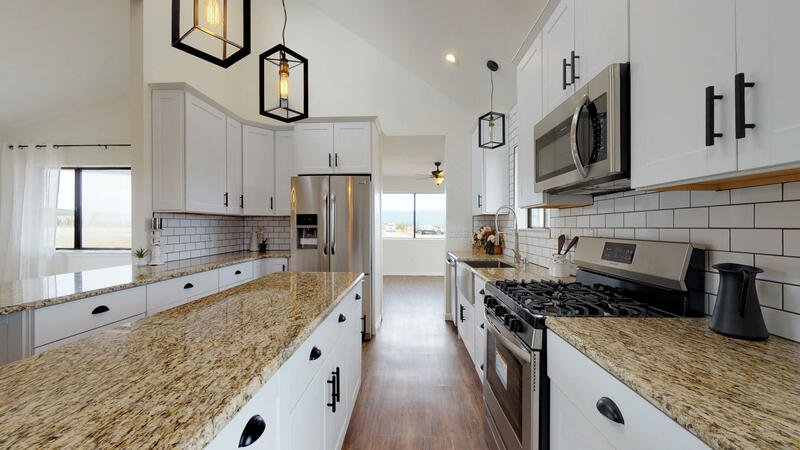 The redone open kitchen includes tile backslash, granite countertops, soft close cabinet drawers, stainless farmhouse sink and stainless appliances. Two generously sized masters, each with updated custom bathrooms and open up to outside patios to sit and take in your own piece of New Mexico paradise. Newer hvac units and septic. All on 2 fully fenced usable acres. Virtual tour available. Schedule your showing today!